Pamplona Alive With Festival COLOR! Ancient TRADITIONS are Alive with FESTIVAL COLOR! You can hear the music, fireworks and the the sounds of people cheering as the celebrate in true Pamplona Style! A feast for the eyes and the Camino PILGRIM Soul! Thank you to Jesus M Garzaron for your fantastic picture and to Narvarvip Traslados for your Facebook post! 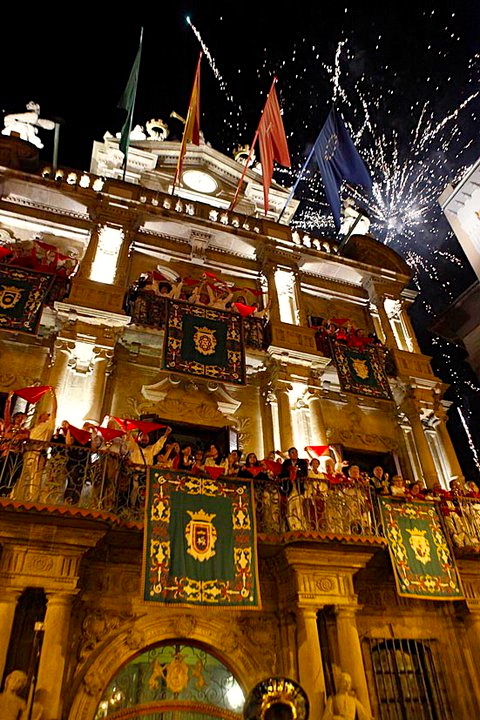 This entry was posted in Camino Inspirations!, Spanish Treasures and tagged camino, celebration, festivals, fireworks, Inspiration, photography, The Way, traditions. Bookmark the permalink.